In 2015 the Basset Hound Club of Southern California decided to make our donations for rescue work differently from what we've done in the past. Rather than just donate a lump sum the the local Basset Hound groups it was decided that the club would donate to specific needs for Basset Hounds in need. This way we have better accountability and our members can see where our funds are going. When we set up the fund the club voted on how these funds can be used. During that discussion it was pointed out the sometimes even club members find themselves in need of help for their Bassets. We decided that instead of just creating a "rescue" fund that by using the term "relief" it could be used for any occasion when the club or the BHCSC Board of Directors determined that there was a need that could be helped through this fund. As has been the case for several years the majority of the money raised through Our Basset Hound Picnic in October was placed in this fund. We also have various activities and events through out the year to raise money as well to raise money for this fund. 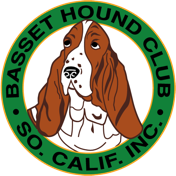 Our goal in setting up this new fund that the Basset Hound Club of Southern California can help more Basset Hounds in need in the coming years.Through the generous donations from our club members and those who participate in the various events and fund raisers this goal can be accomplished. Our activities and events to raise money are announced here and in the club's monthly newsletter, Basset Tales.